Fontana, Calif.- The City of Fontana is eager for youth ages 5 - 15 to experience a summer of creativity, play, education, and laughter through one of the many 2019 Summer Camps. With 10 camps to choose from, kids and teens can enjoy an adventurous summer filled with learning, physical activities, field trips, and exploration. Early registration for Summer Camp is recommended as space is limited. 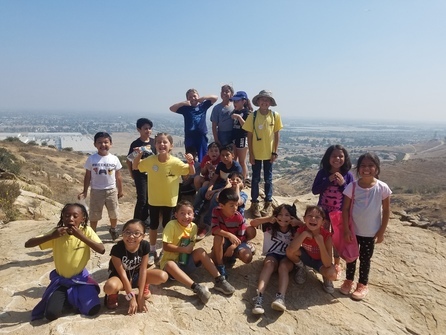 Online resident registration begins Saturday, April 6, 2019, at 8:00 a.m.
Fontana’s Summer Camps will include lunch provided by Fontana Unified School District’s Summer Youth Lunch Program, and camps that have excursions include the field trip costs with the registration price. A processing fee for paperwork and a non-resident fee is applied to registration when applicable. Extended care is available at select locations for additional fees. For ages 5, proof of completion of kindergarten is required. No camps will be hosted on the July 4th holiday. For more information about all of Fontana’s Summer Camps, please visit SummerCamps.Fontana.org or call (909) 349-6900.